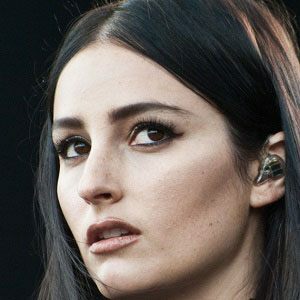 Born Jillian Banks and best known by the stage name of Banks, this California-based vocalist and songwriter released her debut album, Goddess, in 2014. She was nominated for the BBC's Sound of 2014 honor and for MTV's Brand New award. She began writing songs in her mid teens and released her first single, "Before I Ever Met You," a decade later. She toured with Canadian R&B star The Weeknd. She was born and raised in Orange County, California and grew up in the Los Angeles area. Her parents divorced when she was young, and a friend gave her a keyboard in the hope that music would help her process her emotions. She was influenced by the work of fellow singer and songwriter Fiona Apple.